Male 84 lb. 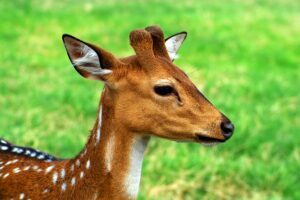 / Female 57 lb. 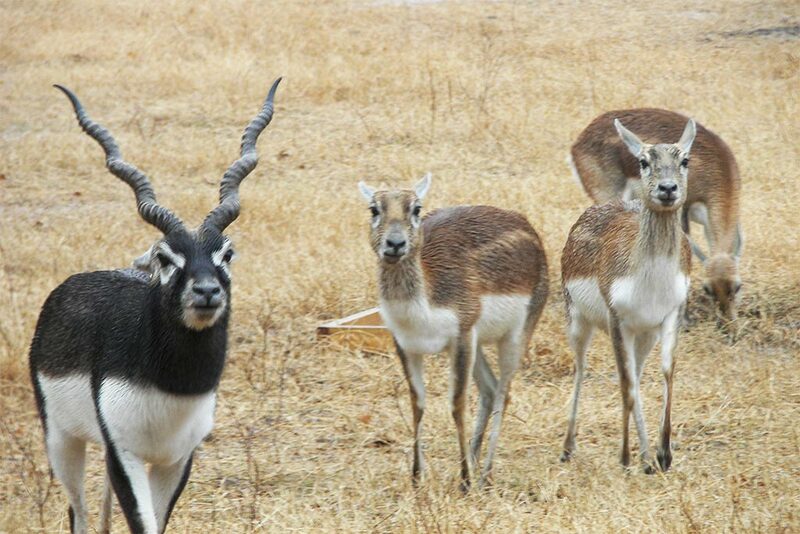 Once abundant, blackbuck antelope are now very rare outside of game preserves in India. Hunting for meat and trophies, as well as habitat destruction, has severely reduced the numbers of wild blackbuck. 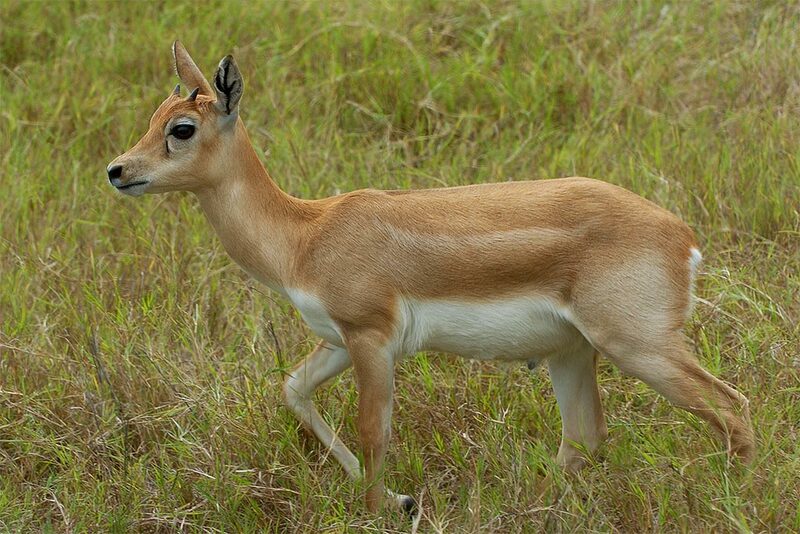 One of the few antelope which exhibits pronounced sexual dimorphism, males and females are readily distinguishable. Only males have ridged, spiral horns that can grow to more than 29 inches. 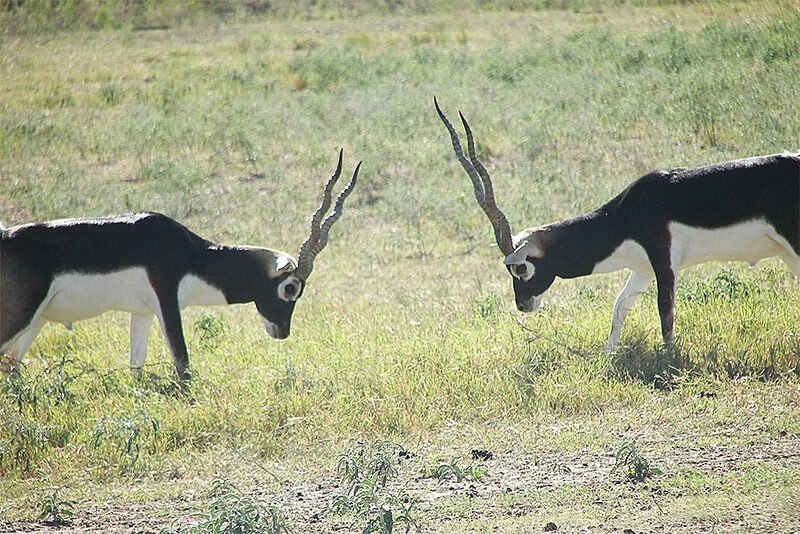 All young are born tan, but males gradually darken to deep brown or black with age. 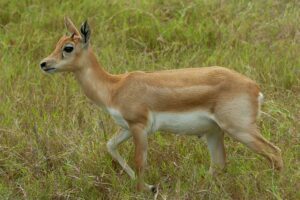 Females remain a light tan with white markings and bellies. 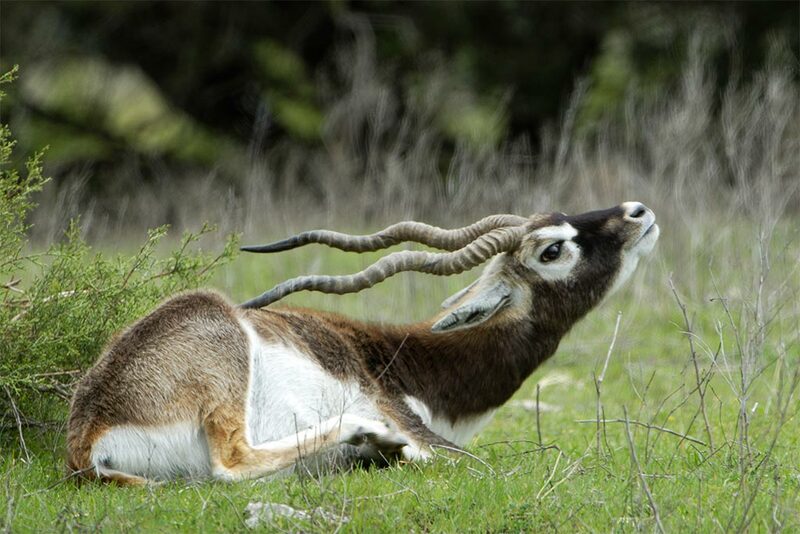 Dominant males command a territory of 3-40 acres that includes a harem of females and young. 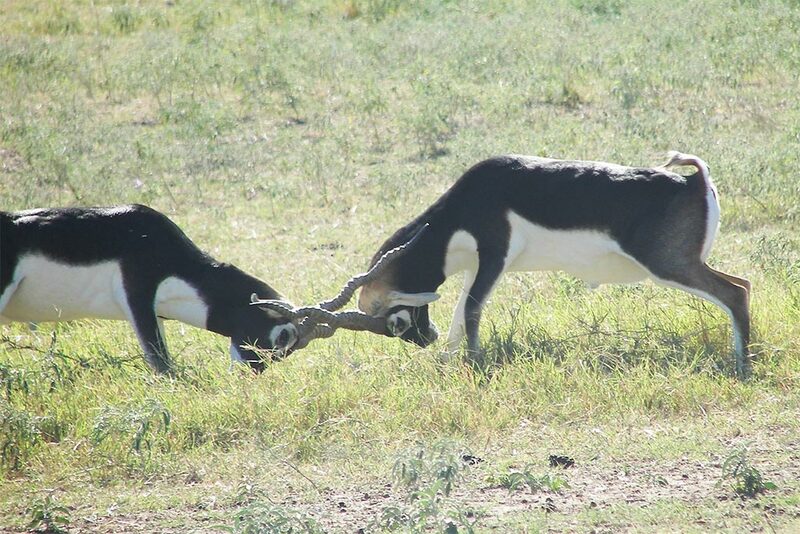 Blackbuck at Fossil Rim can be seen running wayward females back to the harem and keeping other males away. 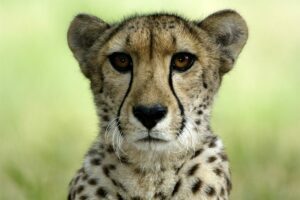 During breeding season, males defend these areas tirelessly in order to keep the largest group of females with them for the longest period of time. This is primarily achieved with posturing and threatening gestures, but fighting with the sharp horns does occur. 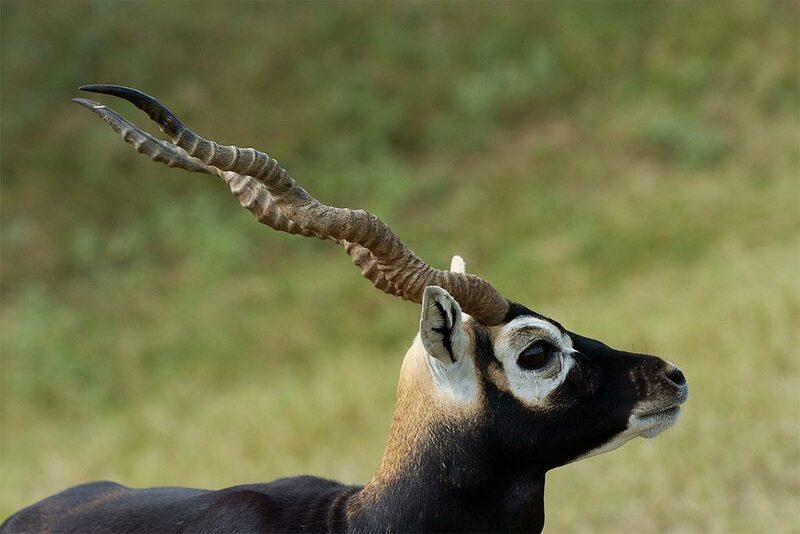 When alarmed, blackbuck can leap straight up into the air.